Anybody? Edit: quoted the update so you don't have to click back a page. 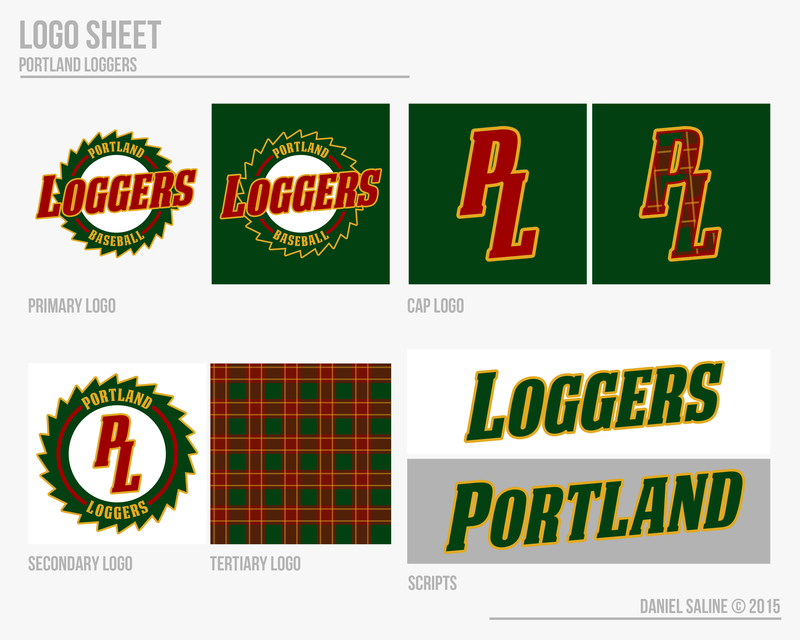 I've gone ahead and updated the Loggers in the original post put I'll go ahead and show them here as well. 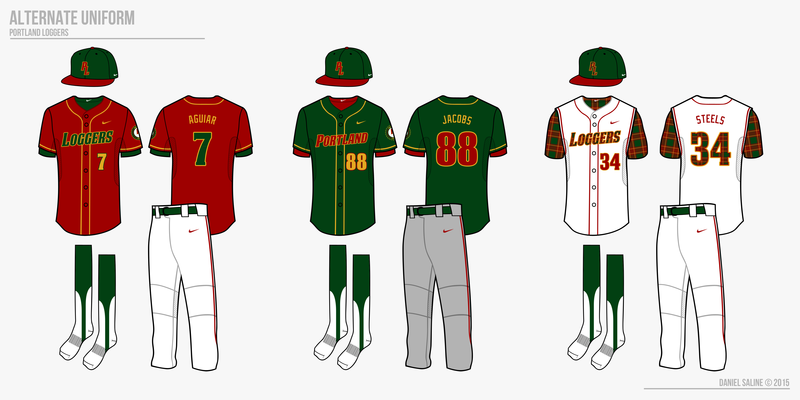 I put the alternate logo on the sleeves per mbannon's suggestion and altered the plaid as well. Also, the alternate now has plaid back numbers and sleeve piping, which it should've all along, I just overlooked it. 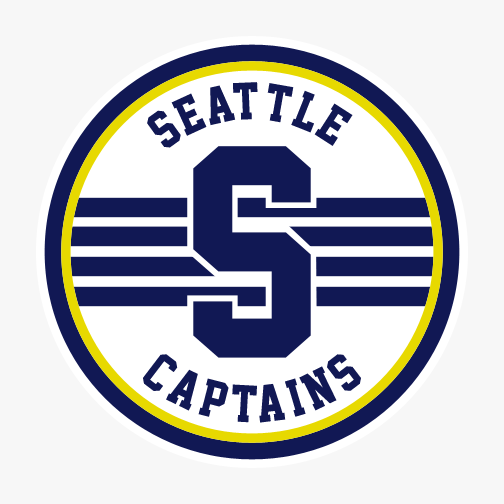 The Seattle Captains are one of the more popular teams in the USBL based on their age and reputation. The Captains were established as a club in 1953 and were chosen over markets in Milwaukee, Detroit, and San Francisco. The nickname was selected in a newspaper poll because of Seattle's proximity to the sea, not necessarily because of the former submarine base, which is surprising to many out-of-towners. In the mid-1980s, the Captains were a force to be reckoned with. They steered their way to two championships in the latter half of the decade behind Uedoney Jimenez, the do-it-all shortstop from the Dominican Republic, and a hard throwing lefty named Brad Myers, one of the most intimidating pitchers the USBL has ever seen because of his massive frame and football mentality. Both players were first ballot hall of famers. Recently, the Captains have scuffled their way to consecutive 4th place finishes, maintaining the mediocrity that has kept fans uneasy for sometime. Many call for a change in the front office, as the same GM and scouting directors remain since the championship era. The current club is best represented by right fielder Michael Robbins and second baseman Jason Gomez, two players who hit the ball to all fields and can show flashes of power. The Captains just drafted catcher Kraig Gaddis from Kentucky and signed the Cuban-born shortstop Aldaberto Jewell to a $65 million dollar deal, and both are expected to provide power that has been missing in Seattle. 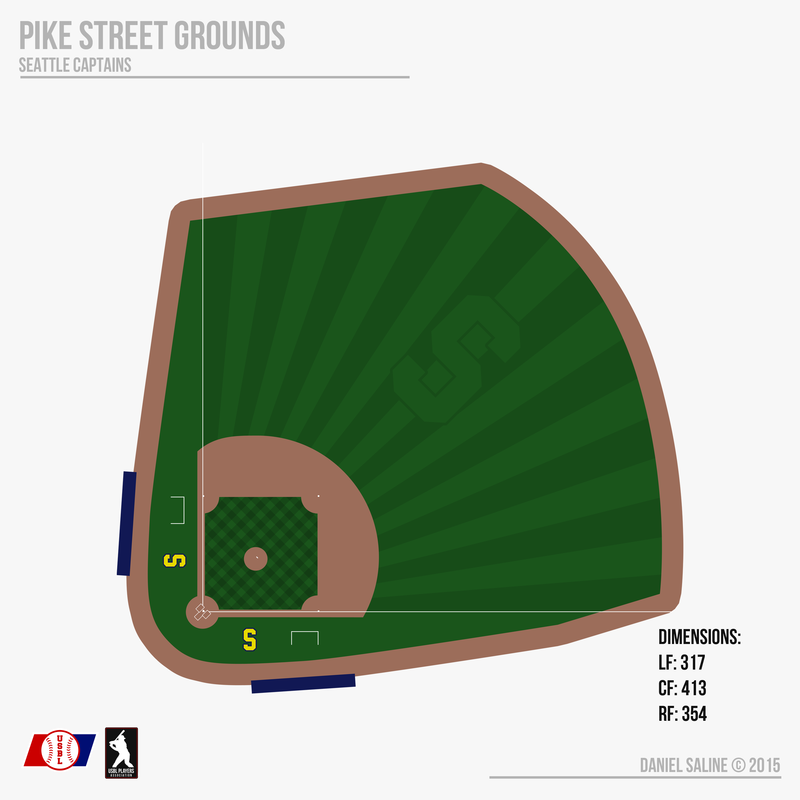 Pike Street Grounds is one of the top tier ballparks in the world because of context. 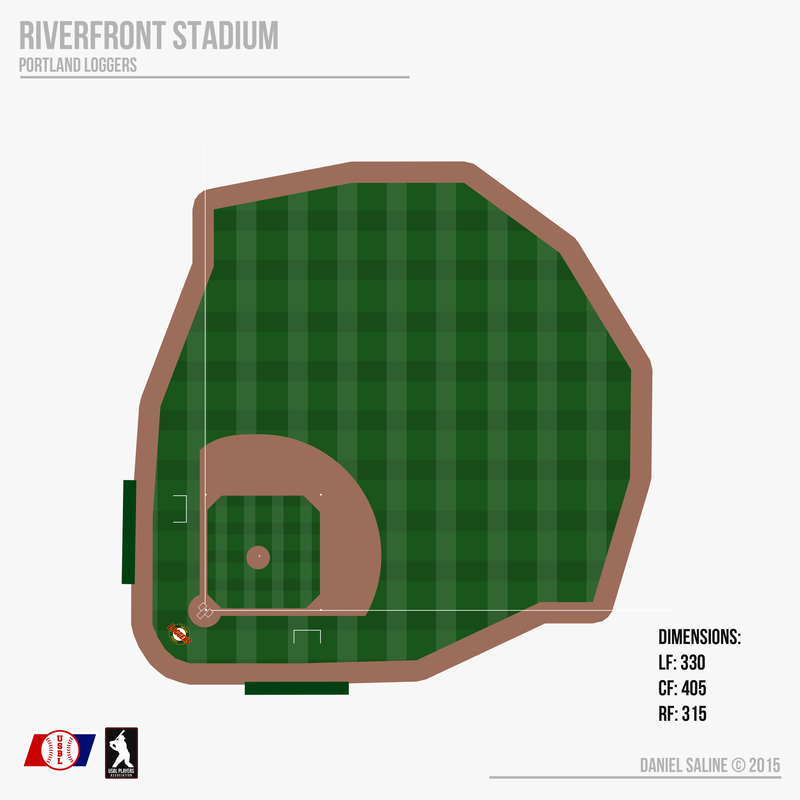 The park is set right on the bay in downtown Seattle, with the left field wall right up against Margarito Bay, named after former player Johnny Margarito. Margarito was known for crushing homeruns into the water at the stadium, especially his walkoff 3-run shot that sent the Captains to the Championship Series in 1957. The radio announcer famously called the play: "Holy Margarito that ball is gone and the Captains are moving on! They oughta name this place after him!" The Captains' look is best described as a combination of eras. They remain without an alternate uniform, which has been true every year of their existence save for 1999 with their unpopular navy blue jersey. The current set tied together the classic scripts from the early days of the franchise with the highly-praised vests, which were designed after the uniform of a naval captain. Also, the Captains are one of few teams who mandate the high stirrup look to show off the four-stripe socks, a decision that isn't even questioned by the players because they love the look so much. C&C please, go ahead and tear this apart! I rather like what you've done so far, especially the plaid on the Loggers and the whole stripe system/vests of the Captains (I enjoy the Seattle Pilots-inspired look, as well as the attempt to tie undershirt stripes to sock stripes). 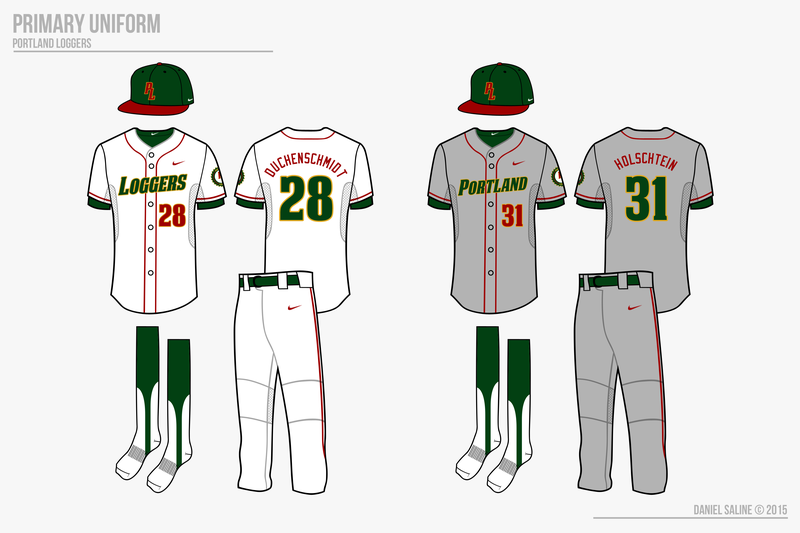 My only real criticism would be that you should rethink the headspoon piping on the Loggers' home and road uniforms. Would it not look better if the piping matched the outline color, or if the outline color matched the piping? Nevertheless, I really like what you've done so far, and I can't wait to see more. The home and away look amazing, I love the idea using the four stripes. Awesome job. The short answer to that is color balance. I wanted a way to get green, red, and gold in there with out the use of double outlines, because there will be a lot of teams later that have those. I also didn't like the way the red and green blended together and didn't make the letters very readable. Hope that makes sense! Thanks for taking a look, I appreciate your input and praise! 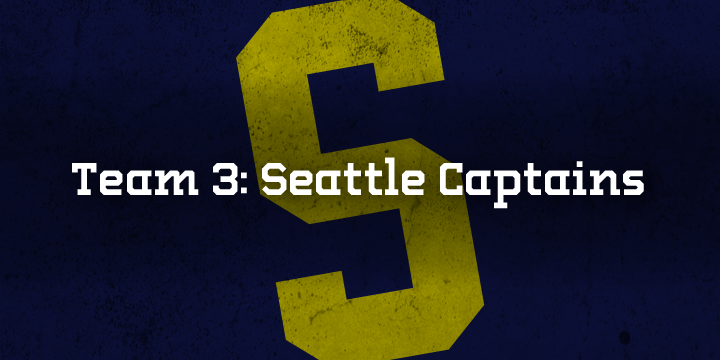 I love what you did with Seattle, however the "S" looks like the Syracuse logo. I do really like what you did with the sailor stripes on the sleeves! It's just a block S to go with the scripts, though I see your point. I thought about incorporating the four stripes into the S as negative space, possibly a star as well, but I'm not sure if it would take away from the classic feel. Very nice classic look for Seattle. I really love the look of the vest with the striped undershirt. My only complaint would be the lack of a true primary logo...not sure how set you are on the block S, but a roundel with elements of a ship wheel might fit well. I've given some thought about that too and I think you're right. I think a classic looking roundel would fit the team, although I'm not too sure how much I want to incorporate ship elements because I don't want them to look like a straight rip of the Pilots, even though they didn't exist in this world. Also, I might keep the S as the primary and the roundel as the secondary, similar to the Yankees. How about this for a potential primary? It's not perfect and needs some work for sure, but I just want to get this out there. 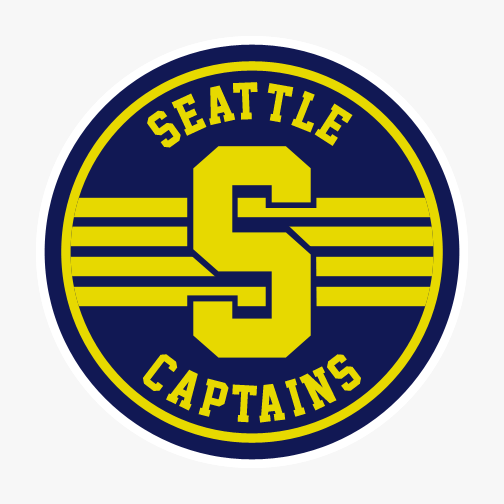 I would suggest that "S" and Seattle Captains to be white, while inside white circle to be Navy blue with stripes become gold. It might be better that way if you can do! I liked this as primary logo. I like that idea as well. That makes it a little more modern, but I guess the whole set isn't necessarily uber-traditional anymore. Thanks for the comments, all! I took your suggestion, JM, and made a blue version. 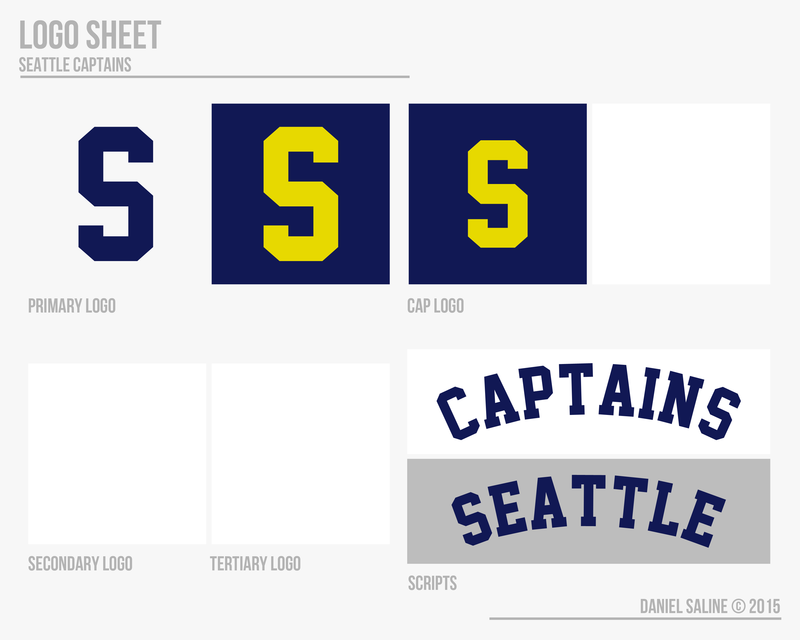 I didn't go with the white letters because the cap doesn't have white letters and any lettering on blue would be yellow. I think I could actually use both of these primary logos in different settings, but maybe that's not the way to go. Does anyone know how to shrink an image? I want to show these side by side but don't want to cut down on the resolution. I would say using both would be fine. The blue for light backgrounds, and the white for dark ones. Though I will say the blue logo could use some white. Maybe the yellow stroke in the roundel? Also just noticed the kerning between the Ts could be tightened up a bit. As for resizing, I saw you're using imgur. In imgur you can edit the photo and resize it to your liking. Go to the "Images" panel and click on the yellow paint palette in the bottom left corner of the thumbnail. On the blue one, I'd make the S white. Maybe all the text. Edit: And on the white one, maybe make the stripes Yellow?